Companions with paws can make the best of friends! 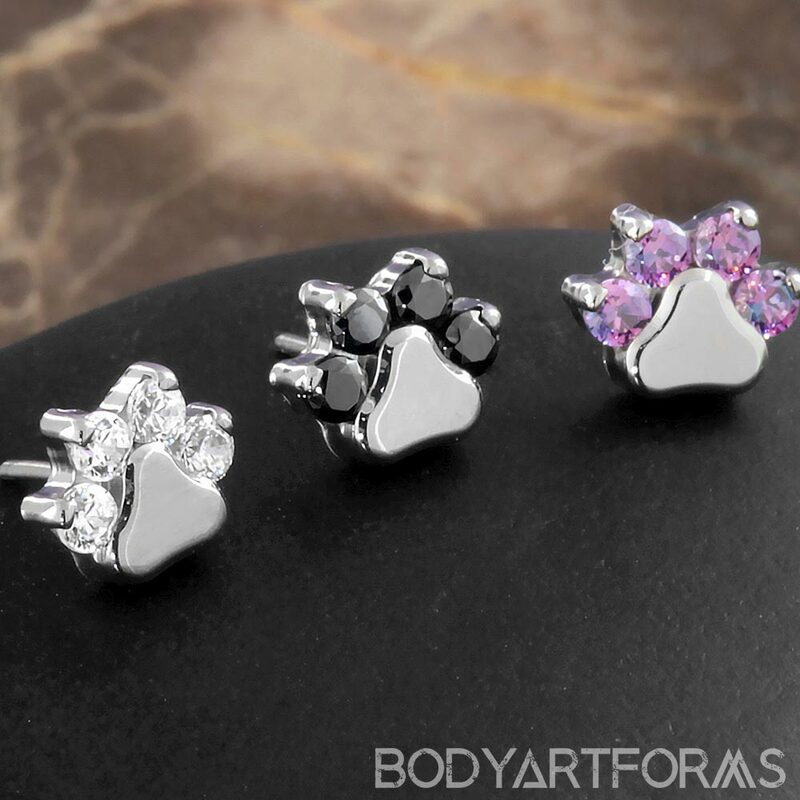 Made with implant grade titanium, these threadless paw ends can be your piercing's best friend. The paw print end measures 4.5mm tall by 5.5mm wide. The four CZ inlays measure 1.5mm.